Dublin is Right Around the Corner! Well we are only a few short weeks away from the Dublin show. 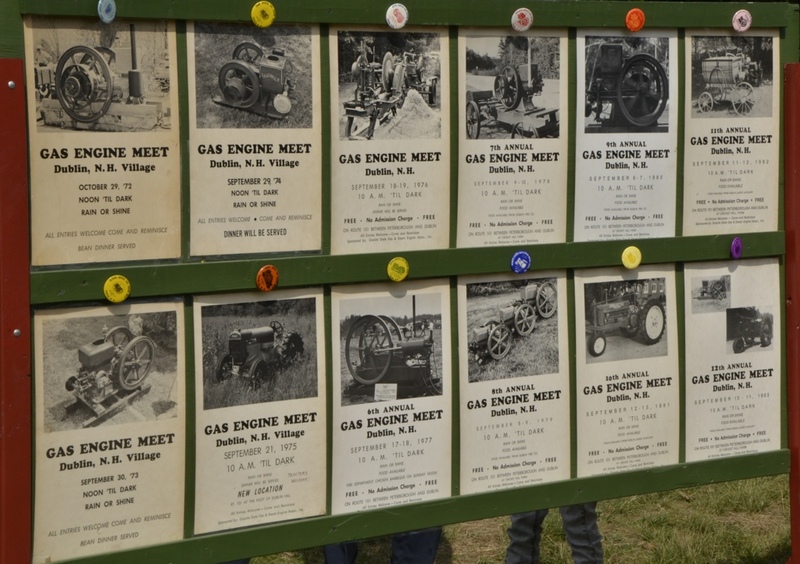 Many people can’t think about September without thinking about a field full of engines. Next sunday club members will be at the field pounding in the stakes to make the rows and rows for exhibitors and vendors who sell their ‘stuff’. Stop by! People from all over will be packing up the campers and trailers and getting ready to head to Dublin this week. For years my family and friends packed their stuff up and found a spot in the back of the field. It is a wonderful family time for all the fathers, brothers, cousins, nieces and nephews. Some of us are still in the back of the field, others work the show now. Today I offer my thanks to the club’s leaders – both past and present – who have given so much of themselves — to make this happen year after year. It is like throwing a party for thousands of people – and while I only know about the last 15 years, I have to say it is one darn good time. I hope you enjoy looking at these old posters.